At the Potsdam Conference in 1945, the Allies decided to rid Germany of its Nazi elements. 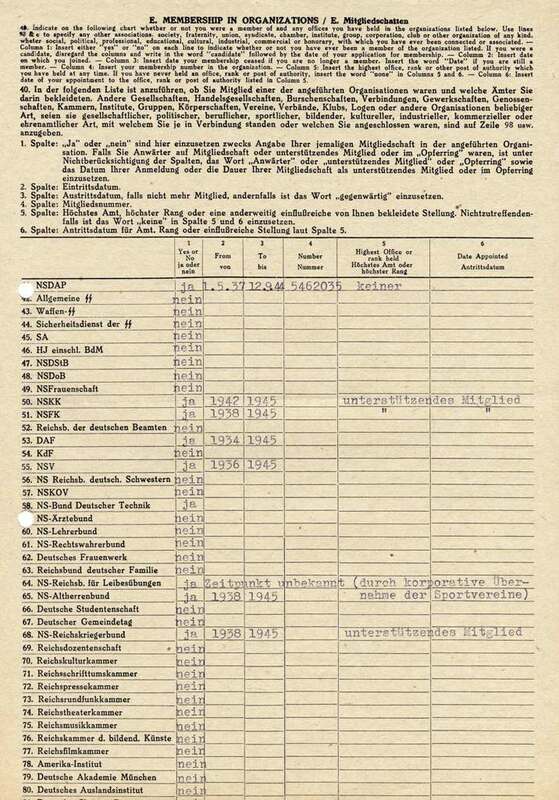 The International Military Tribunal in Nuremberg tried the big name Nazis for war crimes. 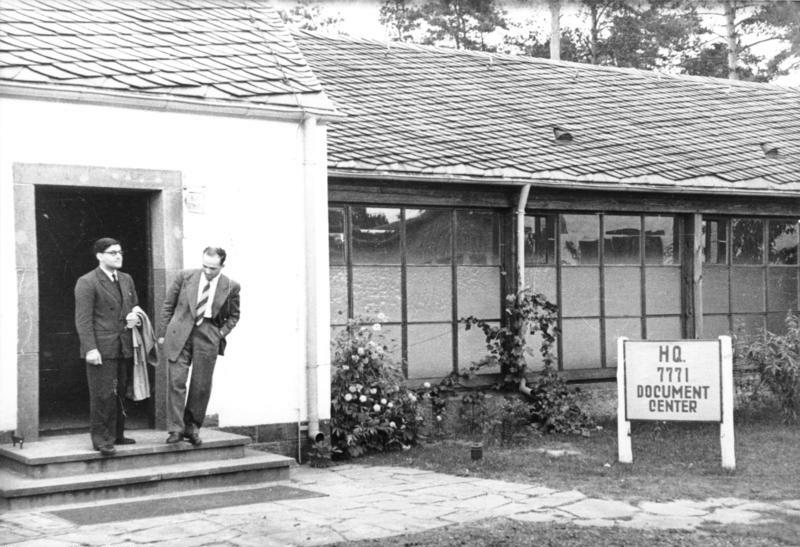 Another solution had to be found to assess just how complicit in the regime other Germans in the western zones were. The Americans and British produced the famous Fragebogen, 131 questions on six pages. The questionnaire summarized the life, professional and political activities of the person who filled it out. 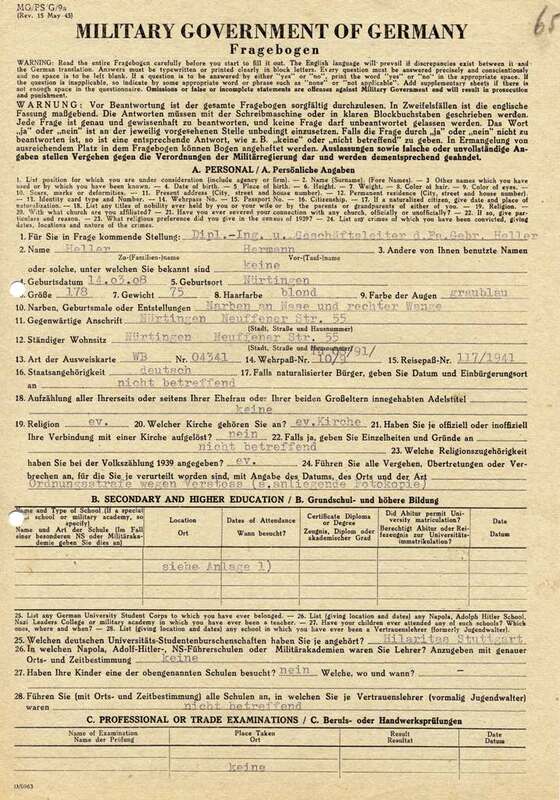 At first, only German civil servants such as police, judges and city government officials had to fill out the form. Early in the process, many were removed from office because of their brown pasts. 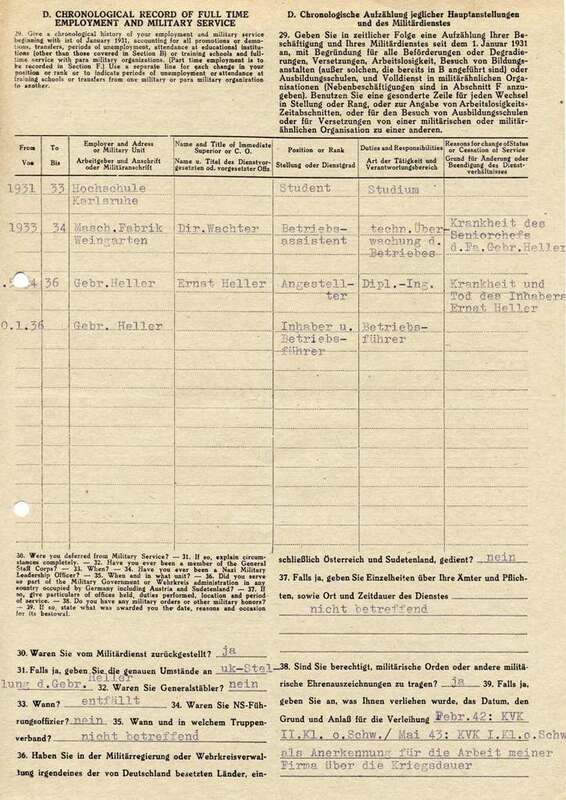 The Americans with 13 million forms for their Zone had high hopes for the Fragebogen. Reality didn’t live up to those hopes. The Germans were too busy surviving in the ruins, still stunned by defeat, not interested in delving into their pasts. Some protested that a questionnaire was too simplistic a way to decide someone’s guilt or innocence. When German Spruchkammer were set up to conduct hearings of people suspected of complicity with the Nazis, public opinion felt the little people were being persecuted while the bigger fish got away. They weren’t altogether wrong. After a first intense wave of denazification, the Americans and British saw it was impossible to fire so many Germans with expertise in the very things the Allies needed to help rebuild the country. Many old Nazis returned to their jobs. The Landesarchiv Baden-Wurttenberg has a wonderful copy of a Fragebogen, with all questions in German and English. It’s a fascinating look at how thorough the Allies wanted to be. It asks everything from military service to membership in Nazi organizations to whether the person was involved in stealing Jewish property. The first 3 pages are reproduced here, with a.link to the Landesarchiv’s full 6-page Fragebogen.